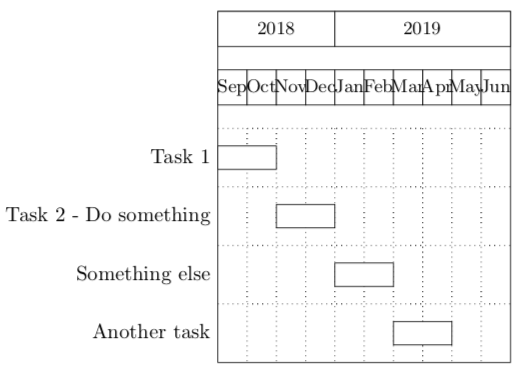 How to auto space things(months) in pgfgantt? How to auto space things? Browse other questions tagged tikz-pgf pgfgantt gantt or ask your own question. 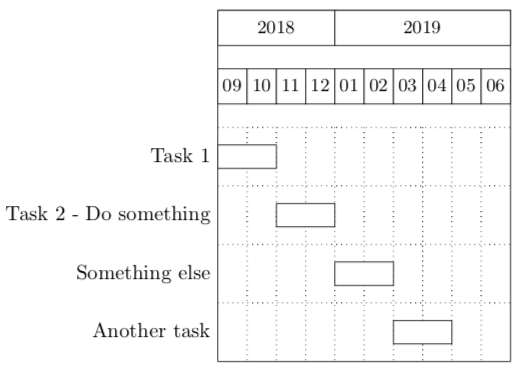 Task names on the right side of pgfgantt chart, possible? Mix date format on pgfgantt, possible? 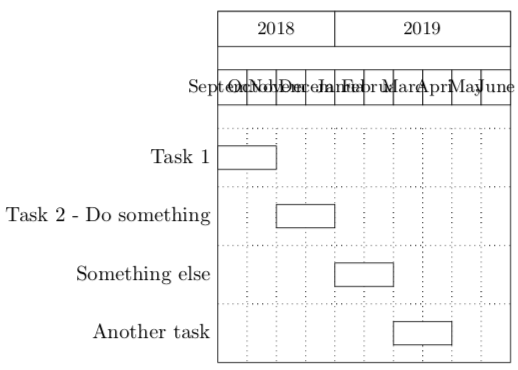 Alternative period format on pgfgantt's ganttbar, possible? How to control bar span on pgfgantt's ganttbar?